Susan gives us 12 tips on how you can create eye catching content. In today’s visual content driven world businesses look to attracting a larger audience like small children running to see their reflection in the water. People just can’t resist because…. Great images and video can be EYE CATCHING! Social media platforms like Facebook, Instagram, YouTube, and Pinterest provide an easy and fast way to share information without a lot of text or lengthy explanation. Visuals are entertaining and stimulating to the mind. Most of all, people like sharing content that is unique and offers a solution to their questions. If you really want people to share your information, present it as a well-thought-out format that is unique to your brand and what you are offering. In order to encourage viral sharing follow these 12 tips to make sure your visual marketing strategy doesn’t disappoint. What’s on people’s minds, right at this moment? That’s the question to ask yourself when sitting down to create your images and video. Take a look for example, at what is trending on your Instagram feed. This will depend on your niche, what your target market is searching for, and what your audience is sharing. Make your visuals highly relevant to your core brand community. The quickest way to ensure your content is not shared consists of presenting something other than what your image promises. A picture is not just worth a thousand words – it can eliminate the need for them altogether. Infographics, for instance, are especially useful for sharing figures, percentages, graphs, pie charts and other data of the sort that often seem to make heavy reading when presented in text paragraphs. Seeing something compared side-by-side gives a much better grasp of the topic than data conveyed by mere figures. Don’t dismiss that old piece of blog content either — you can re-purpose this for a short video that can be shared on places like YouTube and Facebook. People love seeing different scenarios. In fact, a comparison between A and B is often what they are actually searching for. Titles containing the “A vs. B” formula – such as “Instagram vs. Facebook” are irresistible to those searching for information on either the A or B in your title. One of the biggest failings seen in automatic scheduling to multiple channels is that the wrong size of an image or video can disappear off the screen, so that one has to scroll down to find it. Pay attention to the specific size requirements for each website, and adjust your content accordingly. There are plenty of free apps such as Canva, PicMonkey, and Over, which can help you accomplish this quickly and easily. Try to share information that no one else has yet thought of or explored that your community is still asking about. If you make a “True or False” post, for example, make sure you include both true and false examples. You don’t need to try to be too clever – people may turn away without even choosing to ‘like’ or comment on what you have shared. Remember, it’s the contrast element that people like the most. Suit your delivery method to your audience. Are they big on entertainment? Try a “True or false” format. Do they need to sort out confusing facts? Run a comparison between their two biggest interests. Have they got a question? Answer it. Do you need to quickly educate your target customer? Try a “Timeline” format. Variable elements such as bold text, statistics, etc. The popularity of a topic will affect your content’s viral potential. For more specific audiences, you need to know their most pressing need, issue, interest or passion. This doesn’t mean just one posting on your Instagram account as you sit back and wait for your content to go viral. Share it specifically with influential people in your niche who are inside your network pointing out how this could be beneficial to their audience base as well. Pinterest is another great place to provide more leverage for your image and video on specific, targeted boards that are relevant to your niche. Other social networks to cross promote your content on are Twitter, SlideShare, Snapchat, Reddit, ect..
Keep an eye out for cues and opportunities to share your visuals again. And after a few weeks is a decent interval for another general share. Make sure you include prominent sharing buttons with your blog posts that can easily be shared and include simple headlines and hashtags. It’s important to ensure the plugins that you use for these are up-to-date if you are using WordPress, and include your name and Twitter handle. Create your graphics and video for mobile users, and then promote them with a call-to-action that takes them to a sales page or website. Keep in mind that these can also be chosen as promoted posts for later, which will increase your followers and engagement far more than organic content will. 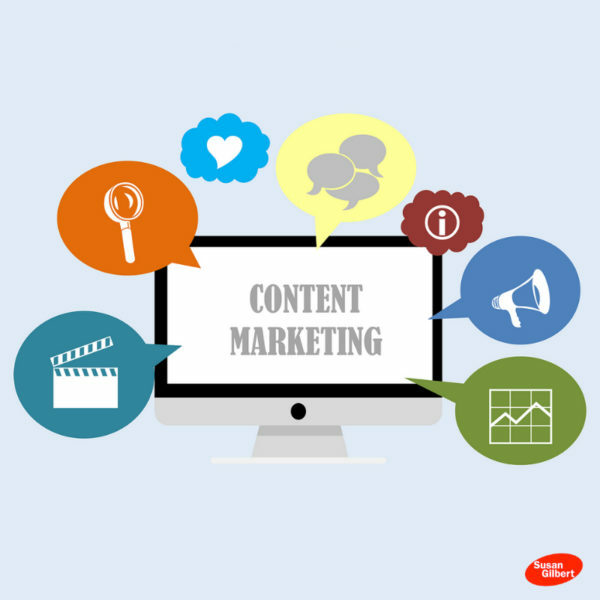 A successful visual content marketing campaign is an on-going learning process, especially as social networks evolve and audience preferences change. Start by creating and improving your graphics as you go along, and pay attention to which images or video get the most response. Pay attention to user feedback and don’t be afraid to make adjustments, including the frequency of making posts. Eye-catching visual content not only play a vital role in attracting a larger audience, but it can also be a key to make a real impression. It is a must, no matter what industry we’re in. Implenting those tips mentioned above will surely help us a lot in creating successful visual content marketing campaign, boosting our shares and conversion.Thank you for sharing.